Now A Classic In Its Own Right, The Boeing 747-200 Has Served Qantas Well Over The Past 30 Years. Now That The Type Has Been Retired, One Aircraft Of The Fleet Has Returned To The Birthplace Of Its Airline. Peter Clark Went To Longreach To Record The Final Flight Of This Now Historic Jumbo. Chris Wills Recalls A Terrifying Story From The '50S In The Weihe Zk-Gae On The New Zealand Wave. Bill Rainbow Was On Of The Many Wartime Pilots Who Returned To New Zealand To Take Up Flying In Civvy Street. He Recalls The Seat-Of-The-Pants Flying That Reflected The Infancy Of The Era'S Airline Oprations. 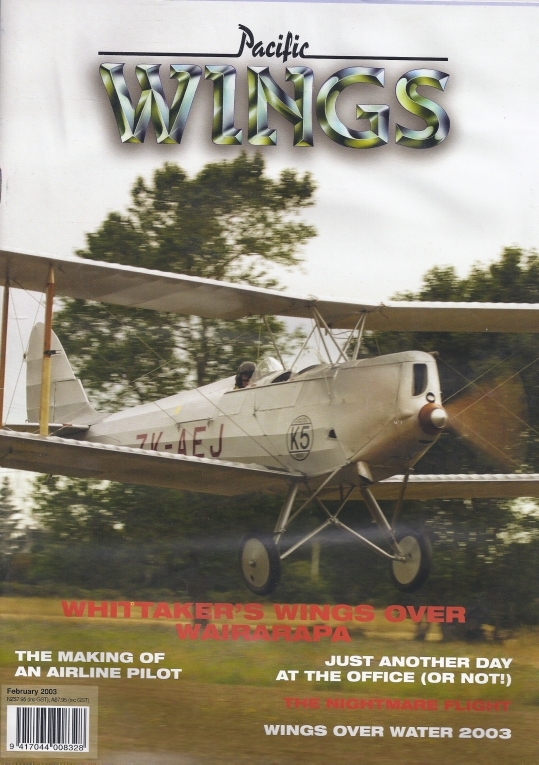 A Pictorial Report On The Svas'S Airshow At Masterton. John Nicolson Reports On The Recent Airshow Held At Lake Rautaniwha. The High-Flying World Of Aerial Mapping Is A Specialist Area Of Aviation And Since 1936 New Zealand Aerial Mapping Has Been At The Cutting Edge Here In New Zealand. Geoff Best Focuses On The Changing Face Of The Industry And The Company. Home To One Of The Largest Aviation Collections In The Uk, Raf Cosford Offers The Aircraft Enthusiast The Chance To See Historic And Unique Aircraft, As Clive Wilkinson Discovered. Gerard Morris Explains What Exactly Is Collectable In Aviation Stamps.